Scientifically speaking, the Northern Lights are simply collisions between electrically charged particles from the sun that enter the earth’s atmosphere. Particles discharged from the sun travel 93 million miles toward Earth before they are drawn toward the magnetic north and south poles. While Earth is constantly being bombarded with debris, most of the time the planet’s magnetic field will deflect rays and particles like these. As these particles sneak by the Earth’s magnetic field, they join with atoms and molecules of oxygen, nitrogen and other elements, resulting in the glittering presentation of colored light in the night sky. The variations in color are due to the type of gas particles hitting one another. In 1616, the astronomer Galileo used the name “aurora borealis” to describe them, taking the name of the mythical Roman goddess of the dawn, Aurora, and the Greek name for wind of the north, Boreas. Today, the Lights dazzle as they seemingly dance across the sky. For lucky spectators, the lights create difficult-to-describe emotions and experiences that will never be forgotten. For photographers, the lights provide those same emotions and experiences, but, additionally, unique and thrilling compositions. Images of a lifetime. Being able to photograph the Aurora is a unique and highly sought after experience. Because of this Backcountry Journeys for years has offered the Ultimate Northern Lights tour as a bi-annual pilgrimage to photograph the Northern Lights near Fairbanks, Alaska. 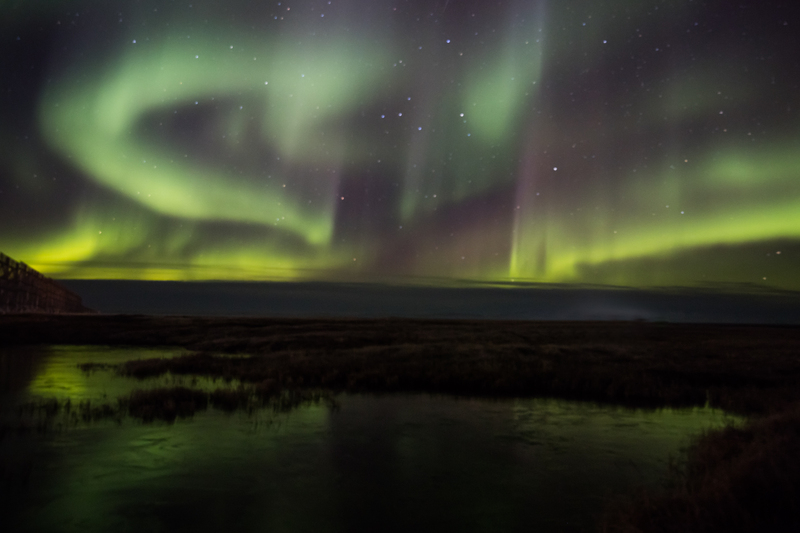 We travel in March and October in order to take advantage of the BEST time of year to see the Aurora, and although predicting the Aurora is fickle at best, statistically, September, October, and March are the best months. After receiving numerous requests from past guests on both our Brown Bears of Katmai in the Fall as well as our Polar Bears of the Alaskan Arctic trips, we’ve recently added Northern Lights Extensions to our calendar. If you are like most people, you’ve traveled a long way to explore Alaska and adding a couple of nights to see and photograph the Aurora Borealis is a great way to maximize your trip. While these Northern Lights Extensions were designed to add to your already booked bears trip, they can also be booked as a standalone trip, if you’d like to attend but aren’t booked on either bear’s trips. The Northern Lights Extensions are shortened versions of our Ultimate Northern Lights trip and also take place in Fairbanks, Alaska. 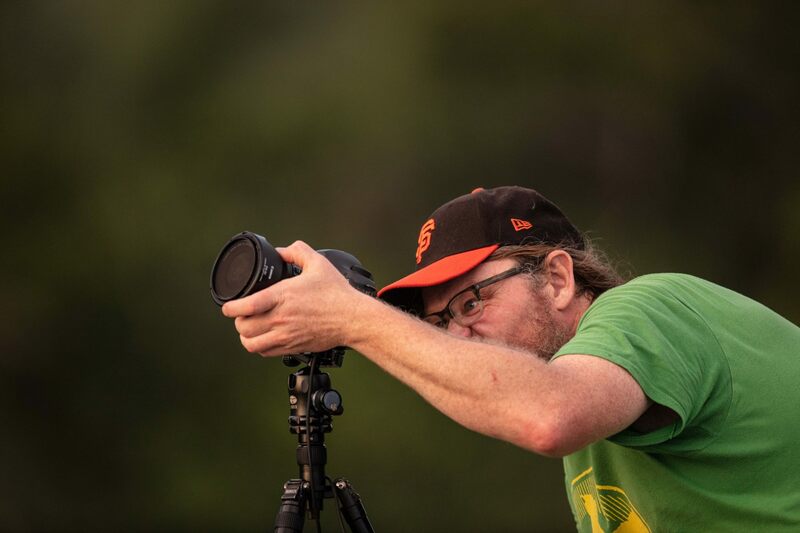 The extension includes three full nights of photography and instruction led by an experienced professional photographer and based out of a comfortable hotel in Fairbanks. Each night we will travel to remote locations throughout interior Alaska in search of the Northern Lights, and learn how to expertly capture stunning images of this incredible natural phenomenon. You are interested for a good reason! We are offering this trip immediately after our Brown Bears of Katmai in the Fall trip as well as Polar Bears of the Alaskan Arctic. If you are currently on these trips and would like to add the Northern Lights Extension, it is not too late to add an extension to your trip. You’ll have a day off following your tour before meeting up with the extension tour. If you are not on these trips but are interested in joining us for a bears trip as well as a Northern Lights Extension, fear not! Four spots remain on the Sept. 13th – 17th Brown Bears of Katmai trip, and a handful of availability is left for our Oct. 10th – 15th Polar Bears of the Alaskan Arctic trip. All other 2019 dates for both tours have sold out, so don’t delay! If you’d like to get registered, either as an extension or as a standalone, simply send an email to adventure@backcountryjourneys.com. Each extension is three full nights of photography. 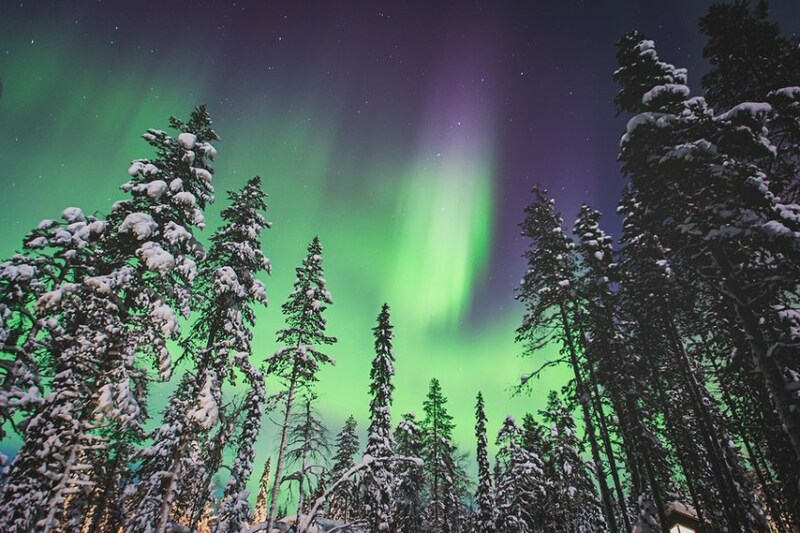 Clear skies, dark nights and prime location make Fairbanks, Alaska one of the best places in the world to view the Northern Lights. Travel NORTH, with Backcountry Journeys, to Alaska and one of the absolute BEST locations in the world to view and photograph the Aurora Borealis. 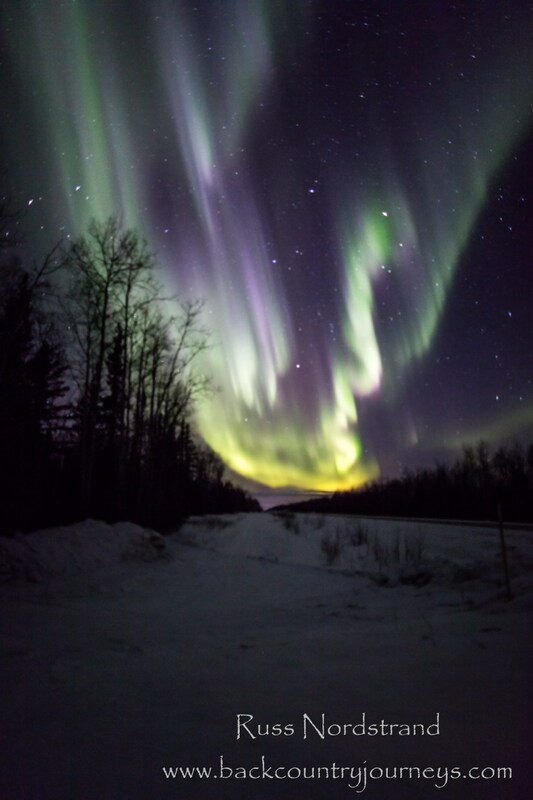 Fairbanks boasts the clearest night skies in Alaska and its prime location directly underneath the Auroral Oval make it second to none as a destination for photographing the Northern Lights! Book today as these spots won’t last long!